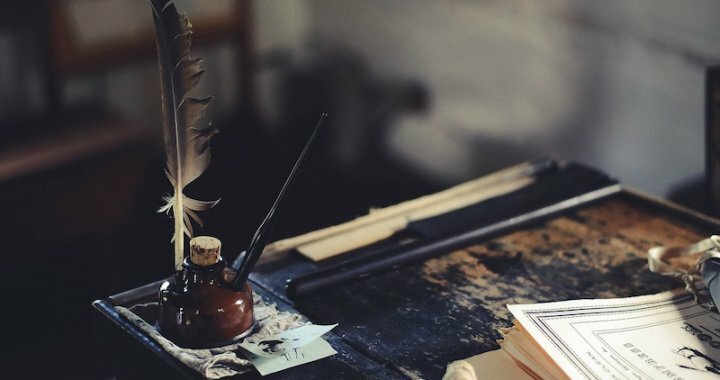 Most of us have mulled over the myriad articles on ways to improve our writing, searching for that nugget of advice that will elevate our craft from mundane to marvelous. How many times have you clicked on that kind of article or stopped at the magazine page to see which “rules” you’re following or where you’re falling down on the job? But what about those things not to do? The don’ts of writing. Here are five to consider. Don’t wait for inspiration. Write every day. Commit to however many hours or words you will write each day, and don’t get out of the chair until that time is up. Even if you’re staring at the computer or legal pad. The ideas will come if you sit with yourself—each day…every day. Sit. Think. Write. It’s like exercising a muscle. At first it can be painful and you can’t lift a lot or move too far, but as time goes on, it becomes less difficult. The muscle flexes more easily. The day will come when you can’t wait to sit in that chair and write. And before you get up—leave a little for tomorrow. If you stop in the middle of your next scene, it will be that much easier to come back to the writing the next day because you won’t be frozen by indecision. Don’t use complicated words when simple ones will do. Yes, quotidian is a delicious word, but not if it stops some of your readers because they don’t know it means ordinary or mundane. Hemingway made a very fine living writing simple words and simple sentences. James Joyce’s Ulysses is a modern classic, but most people I know admit to never having finished it. Your story might have a busy man finding it fortuitous that he has some time to peruse a book. But it’s far better to say he was lucky to find the time to read. You don’t need to impress your reader with your formidable vocabulary. You want them to get lost in your story. Don’t be sloppy with your research. You need to be meticulous when researching a city you’re unfamiliar with, a historical event, a scientific fact. Don’t kid yourself. There will always be a reader who will pick up on an inaccuracy. Sometimes it seems as if they actually relish it! Even editors and proofreaders miss things, so be alert. We once had a character raise a glass in a toast, saying, “Here, here…” Our editor didn’t catch it. Neither did the proofreader or any of our beta readers. But you can be sure a reader did, blasting us for not knowing it should be “Hear, hear”! Don’t get hung up on a work that’s not working. You’ve been writing for months. Rewriting, editing, changing. The story is getting stale. You’re almost sick of it. That’s the time to put that baby in the drawer and kiss it goodnight for a while. It’s okay to start over with something new. It doesn’t mean you’ve failed. It means it’s not the right project for you at this particular time. There’s no law that says you can’t go back at a later time and look at it with fresh eyes. Sometimes we just need to move on. It’s okay. Yes, we know. We said the list had five don’ts, but we’re giving you a bonus don’t. Don’t expect your first draft to be great. This is where you should have fun and play. When we are working on a new book, we know that no one will see that first iteration, so we’re not afraid to let the words flow knowing that everything will come together in revision, revision, revision. Let your story change organically. When you’re first beginning, you might think you know what’s going to happen. But as it unfolds and your characters develop, you may be surprised to discover your characters taking you in directions you never dreamed. A story driven by characters is more genuine than one that slavishly follows plot. See what happens when you apply these don’ts to your writing. You just might surprise yourself. BIO: Liv Constantine is the pen name of USA Today and WSJ bestselling authors and sisters Lynne Constantine and Valerie Constantine. Separated by three states, they spend hours plotting via Facetime and burning up each other’s emails. They attribute their ability to concoct dark storylines to the hours they spent listening to tales handed down by their Greek grandmother. THE LAST MRS. PARRISH is their debut thriller.